The Volvo Ocean Race has landed in Newport! The unexpectedly dramatic finish as Mapfre overtook Brunel in the final yards with zero knots of breeze isn't something anyone will soon forget. We're taking that as a good sign that the next few days of racing scheduled will be just as exciting. With the Volvo Ocean Race boats sitting pretty at Fort Adams, sailors and sailing enthusiasts from all over are flocking to Newport. What better way to see the village and races than by boat? Find your slip or mooring and make wake to Dockwa's hometown! Click here for tips on watching the Volvo Ocean Race from on shore or by boat. As an official port partner of the VOR Newport Stopover, Gurney’s Newport Resort & Marina is offering spectators a special experience: unparalleled on-shore viewing access to the race, thanks to the placement of the “Gurney’s Gate” turning point of the race course visible right in front of The Pineapple Club. Gurney's is hosting New England Clambakes 12PM-3PM on Friday, Saturday, and Sunday, May 18 - 20 for $95 per person. Click here to get your tickets and reserve your slip below! Next door to Gurney's is Goat Island Marina, a relaxed deep-water facility with both fixed and floating docks. Take a 30-second walk to the on-site cafe and pub, ride the shuttle into town, or hop the launch direct to Fort Adams to see the race village. 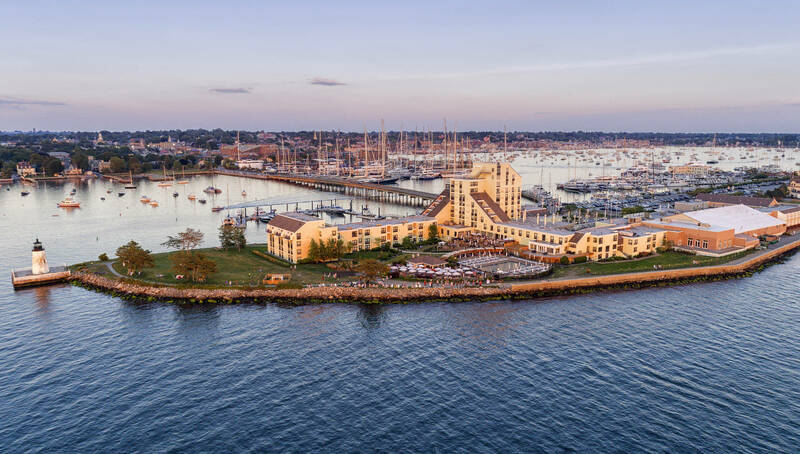 Newport Shipyard is a crowd favorite for locals and tourists for sure – well-kept, secure, and the early stomping grounds of Volvo Ocean Race sailor Nick Dana. While there you can keep an appreciative eye out for the massive projects this yard undertakes, have a light breakfast or lunch at Belle's Cafe, and take a stroll over to Gurney's for dinner. 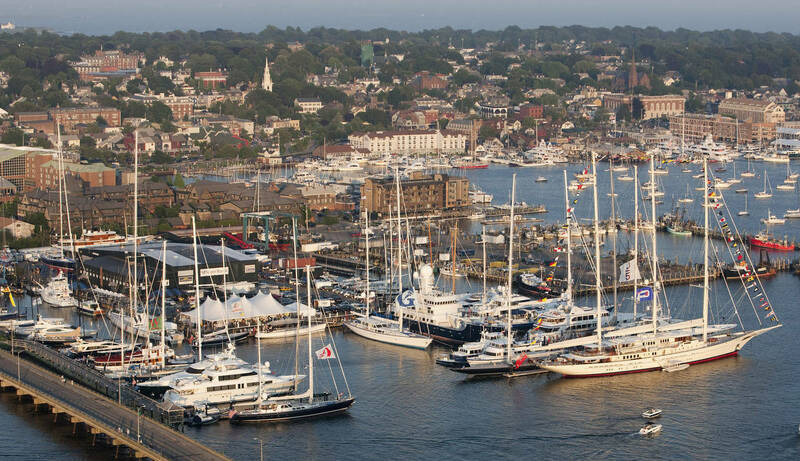 When docked at the Newport Yachting Center you're smack dab in the heart of Newport, at the intersection of America's Cup Avenue, Thames Street, and Memorial Boulevard. You're also temporary neighbors with the Dockwa office, so stop by and say hi! 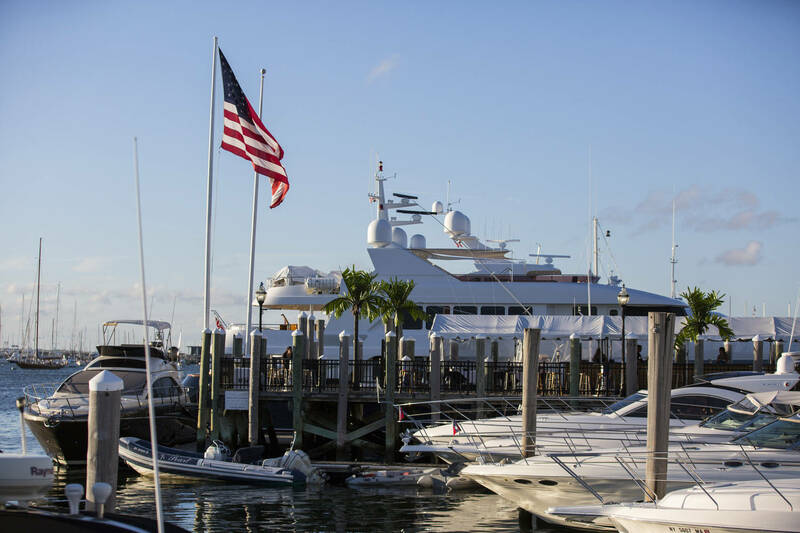 The NYC is known for their professional dock staff and top-notch facilities, and we're also fans of the view of Newport Harbor from their marina office roof deck. Brenton Cove Moorings and Newport Yacht Club are two more fantastic options, and slips & moorings were already going fast when we inquired in late April. On a ball in Brenton Cove you'll be nicely tucked into the harbor almost due south of Fort Adams. 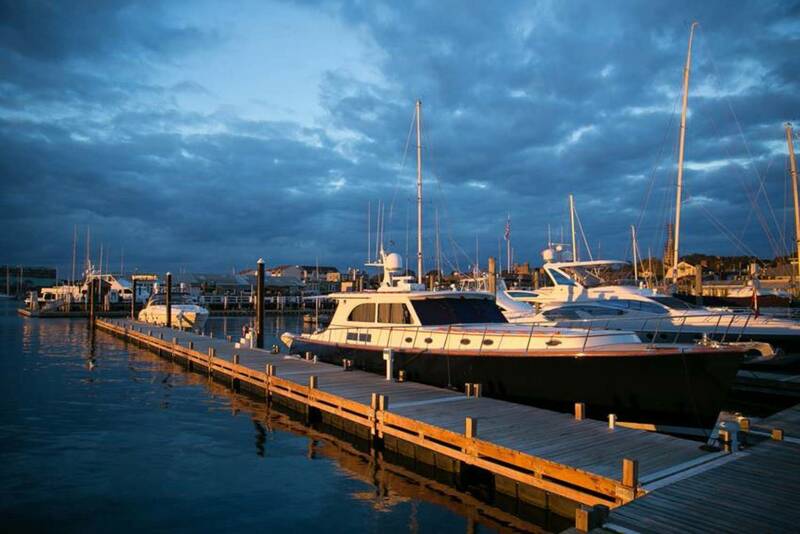 At Newport Yacht Club you have the advantage of being close to downtown without being in the thick of it, as well as being next door to the harbor launch Perrotti Park stop. Just like your favorite Italian restaurant, when you're here, you're family: West Wind Marina is one of our favorites because while you can kick back and relax, if it's a party you're after you won't have to look far. 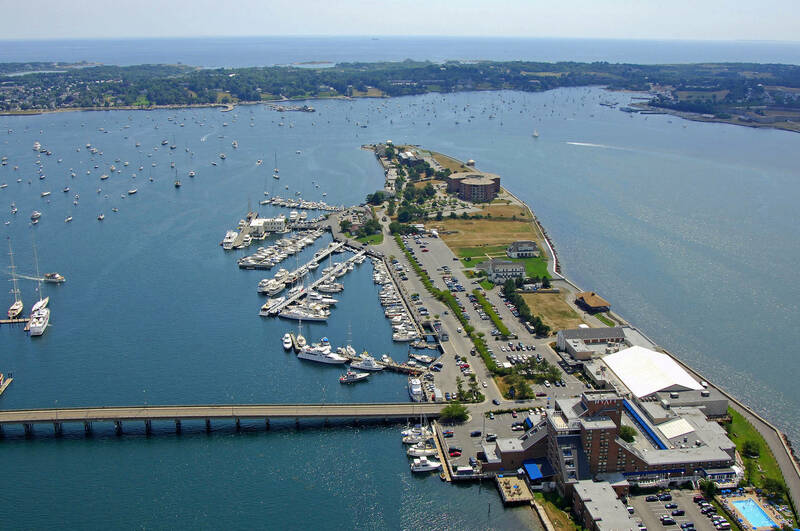 Waites Wharf is home to The Deck, Dockside, and O'Brien's, some of Newport's most lively nightlife spots. Take a left for breakfast at Gary's Handy Lunch or coffee at Mokka, or take a right for dinner and drinks at Zelda's and shopping all along Thames. 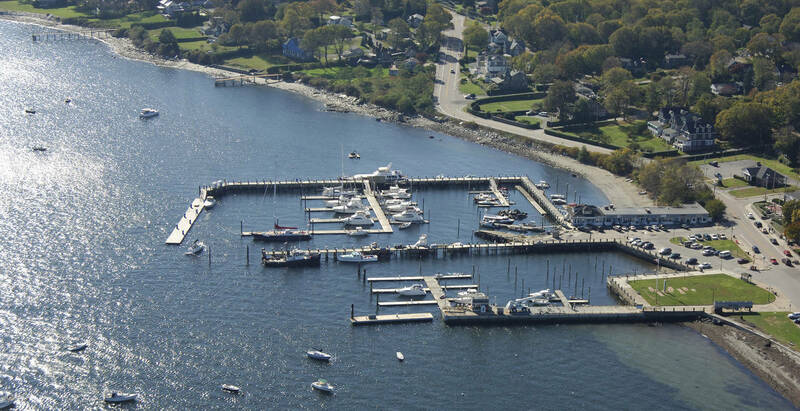 We love Conanicut Marina for a ton of reasons: on top of being a fantastic facility with friendly staff, a stay at this Jamestown gem offers a view of Newport you can only get when you're not actually in Newport – it's a breathtaking vantage point of our City by the Sea and the Newport Bridge. You won't miss out on the VOR, as Conanicut Marina offers round-trip shuttle to the Fort for $24, and you're a quick walk to Main Street's cozy bars, cafes and restaurants. You've got plenty of excellent marina options and a limited timeframe in which to see the VOR before it takes off for Cardiff and returns in 2021. Make it happen!